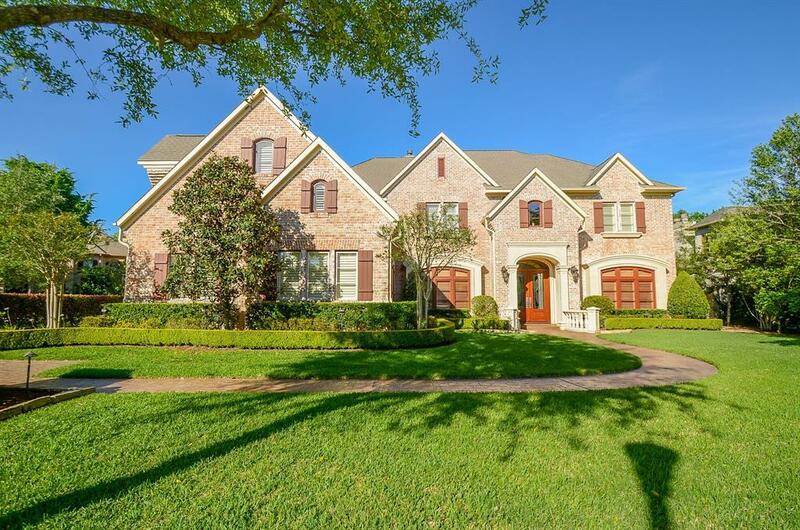 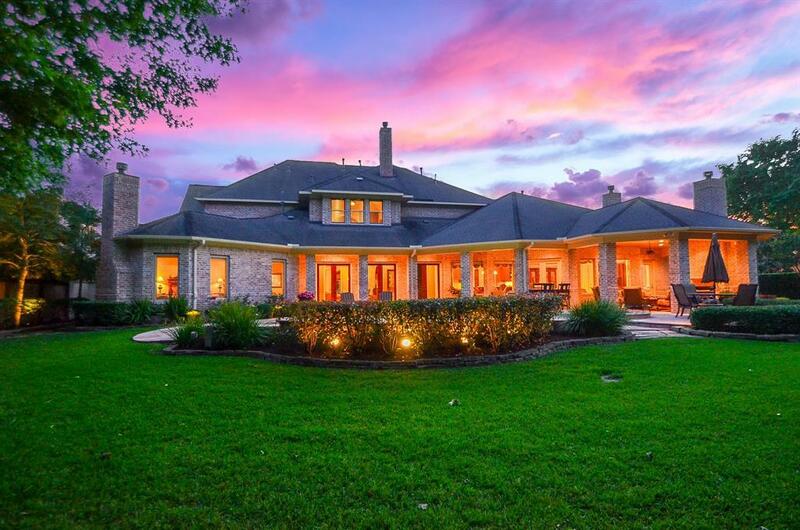 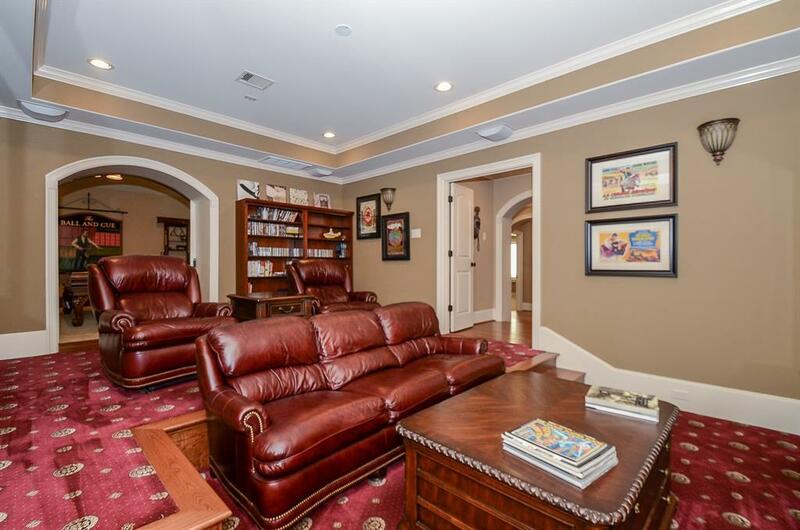 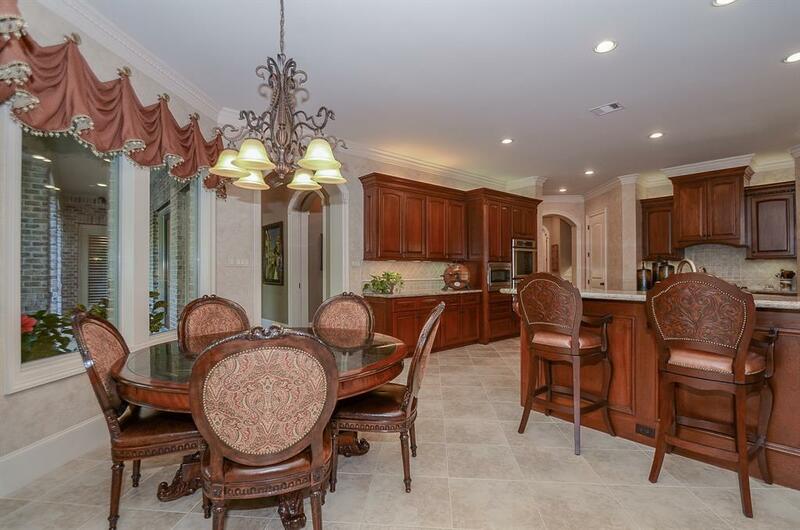 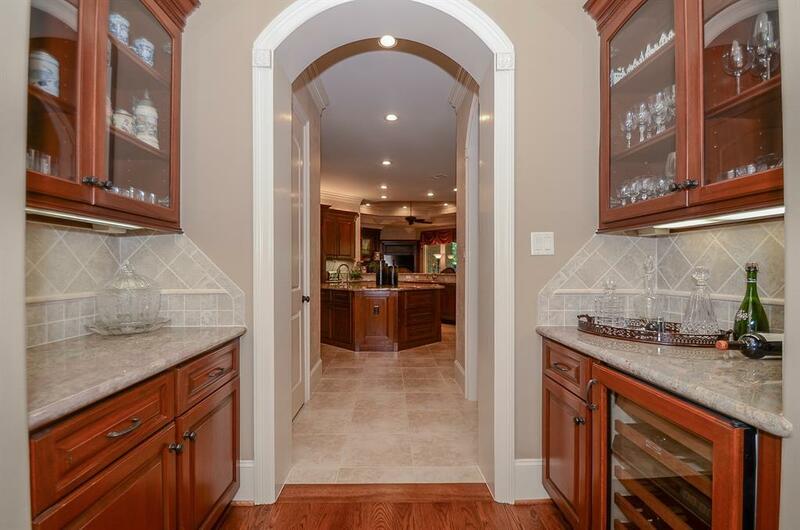 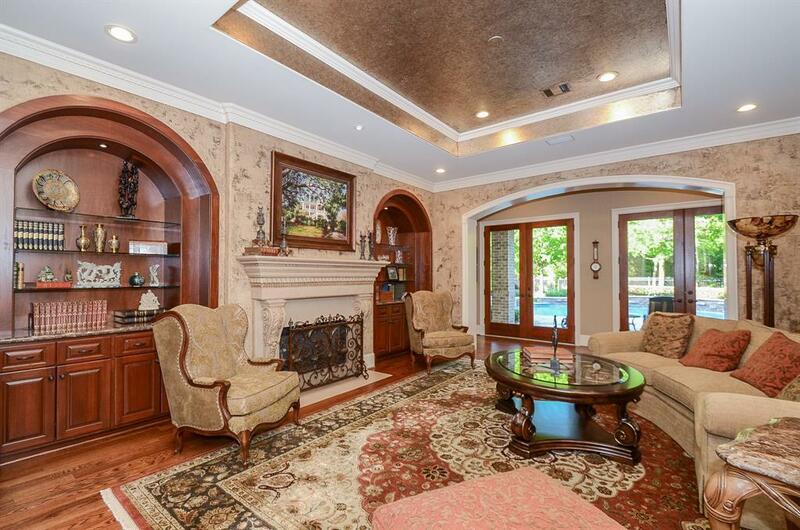 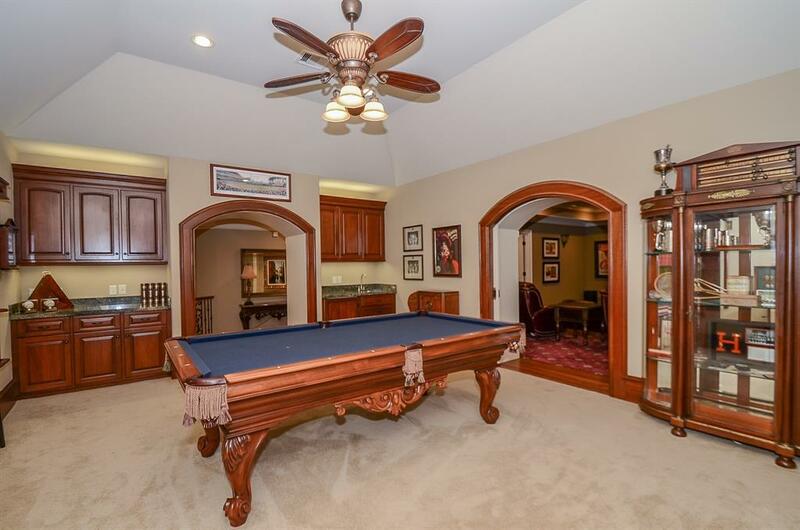 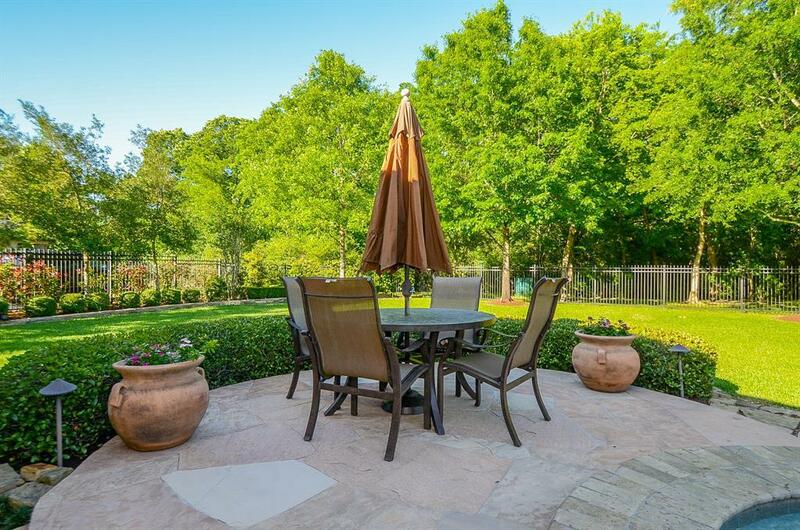 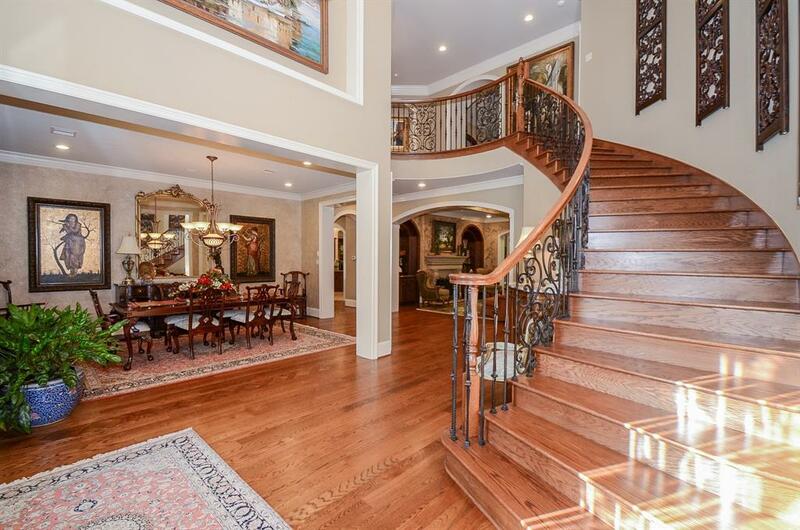 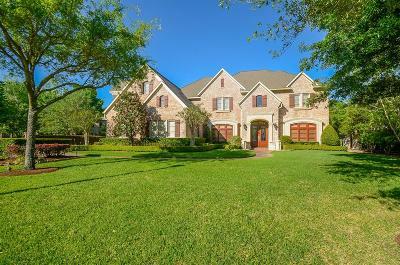 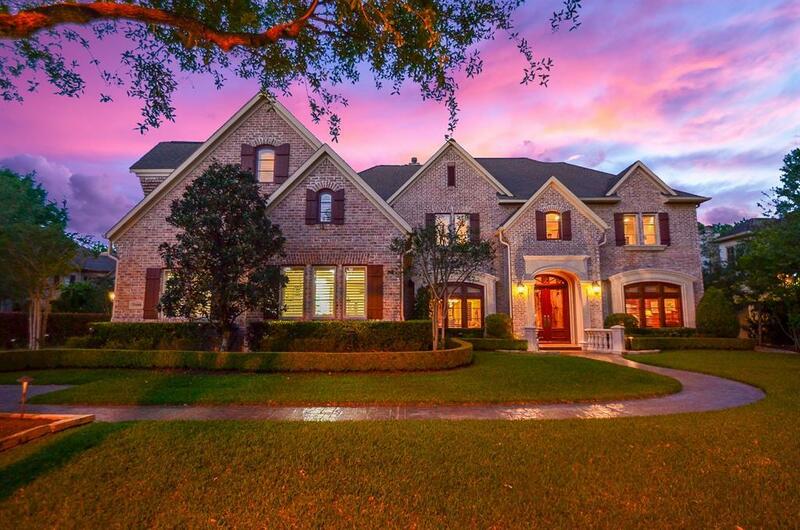 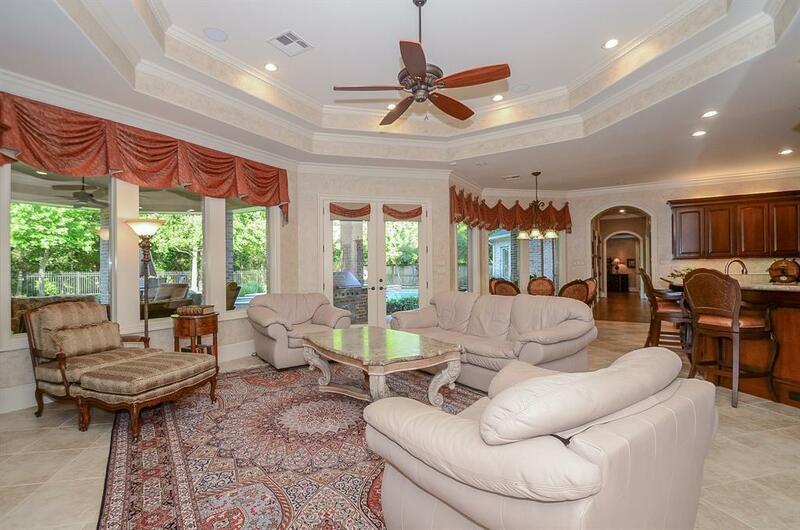 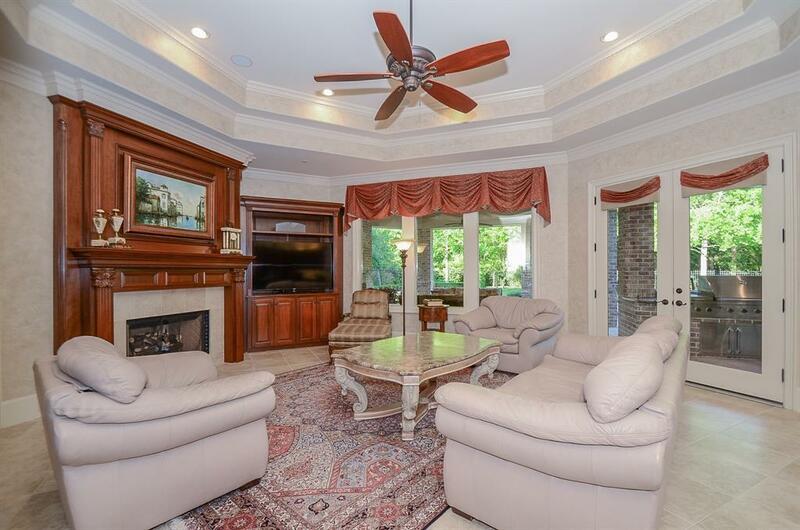 Remarkable custom Jim Frankel home that is situated on over a half acre wooded lot. 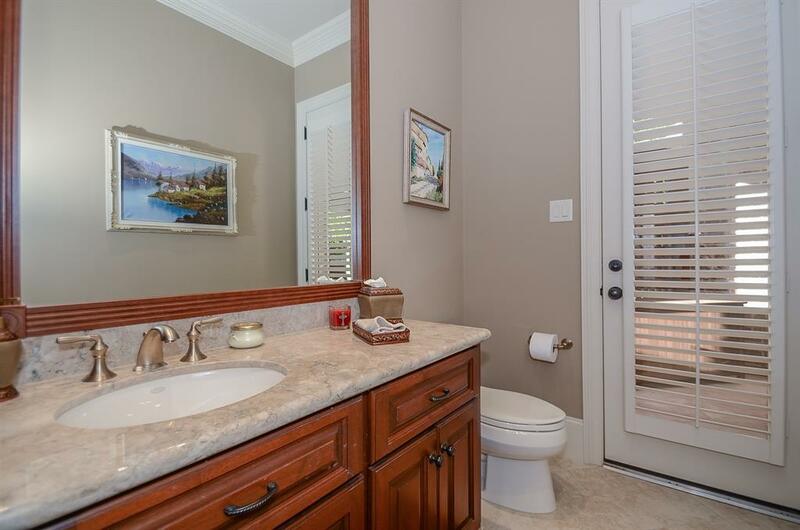 Ample privacy is provided by the adjoined nature preserve. 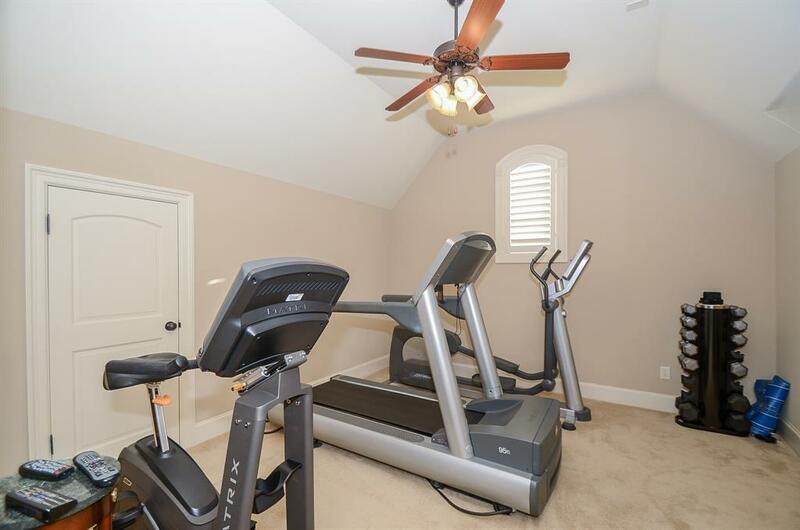 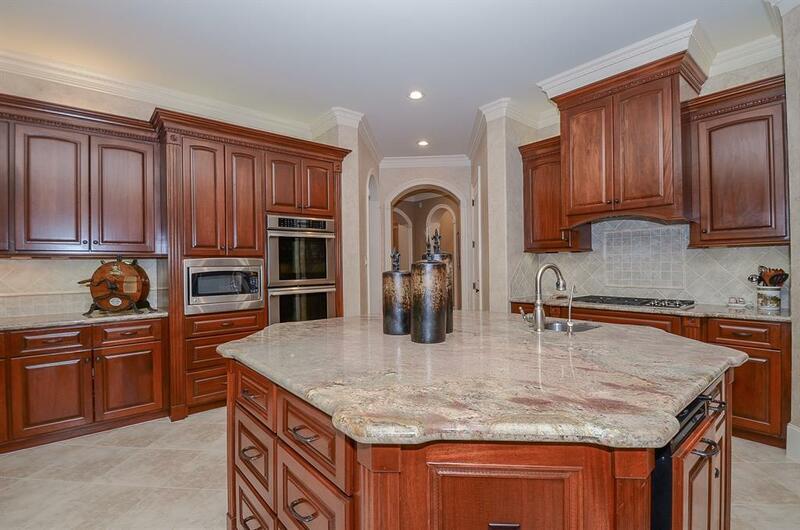 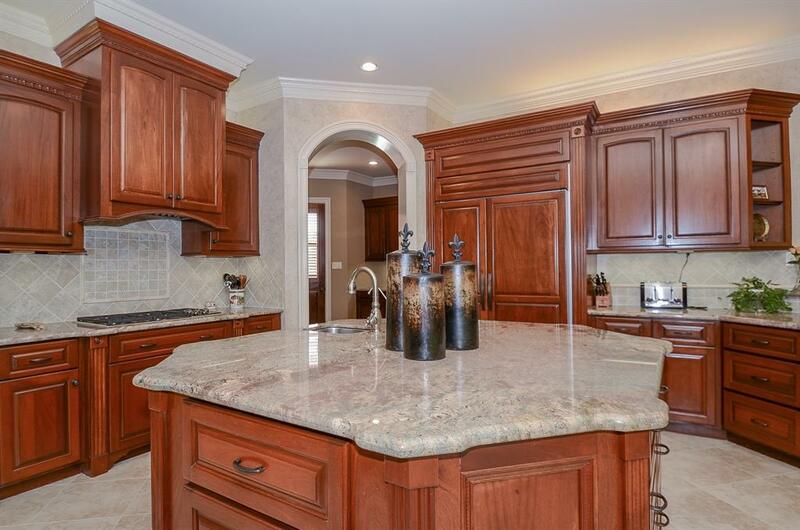 This property was built sparing no expense throughout with superb upgrades and finishes. 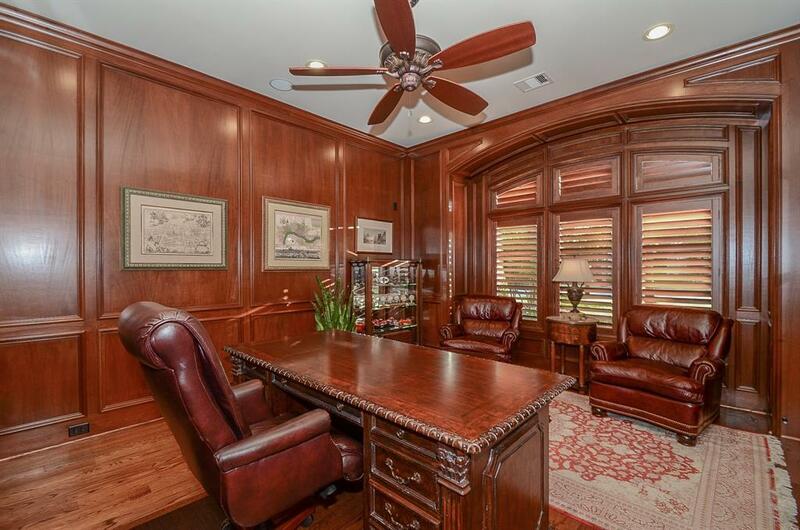 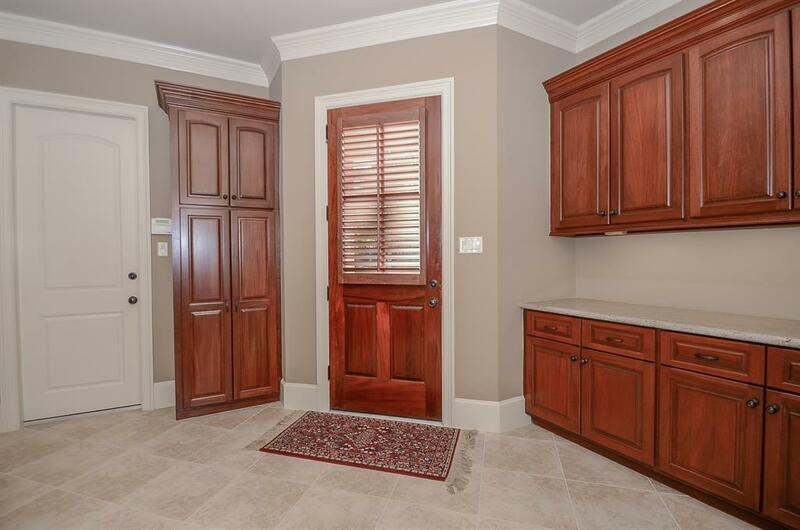 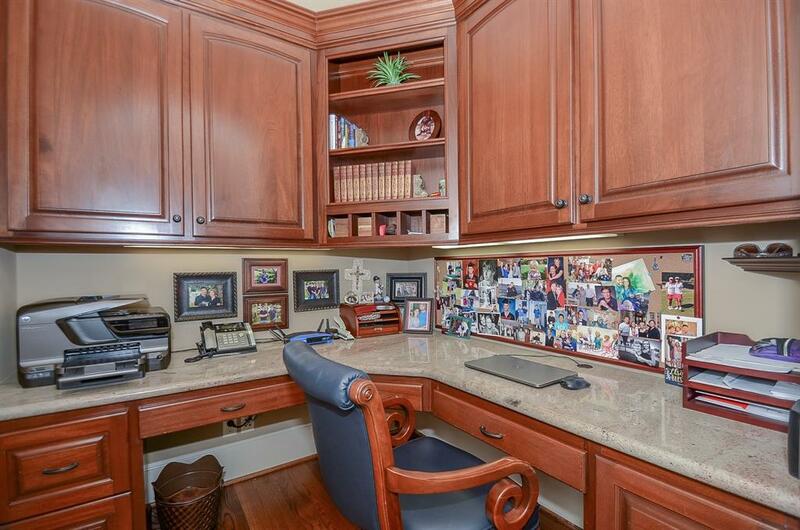 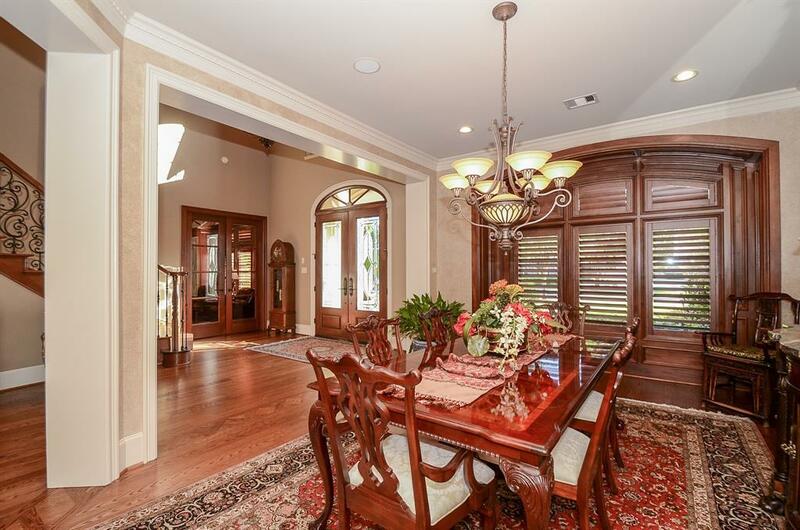 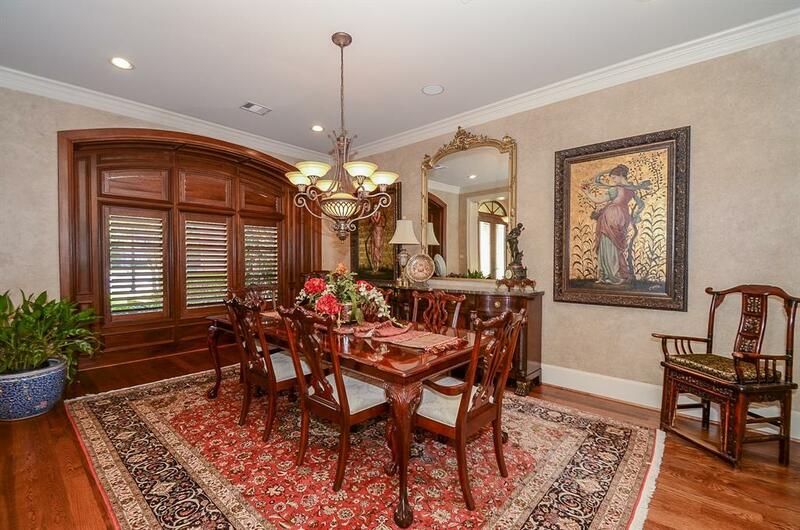 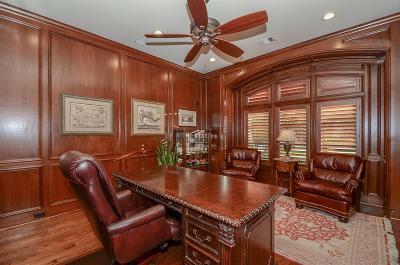 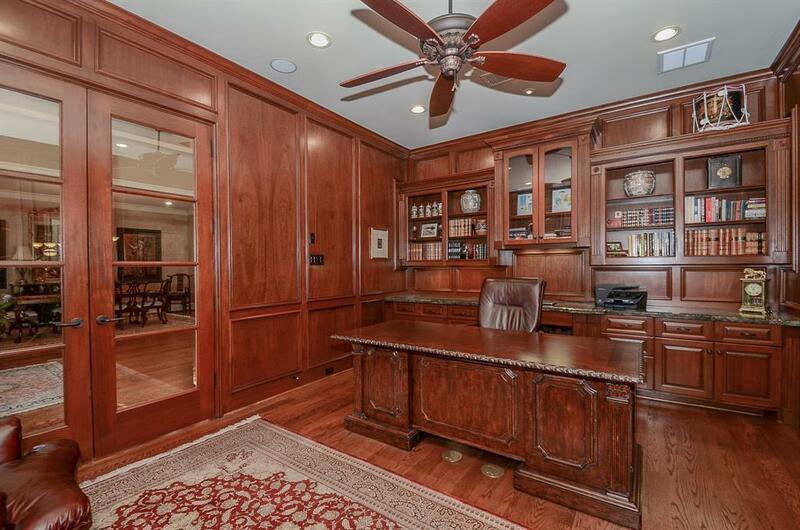 Your study wall is lined with beautiful mahogany wood behind the large French doors. 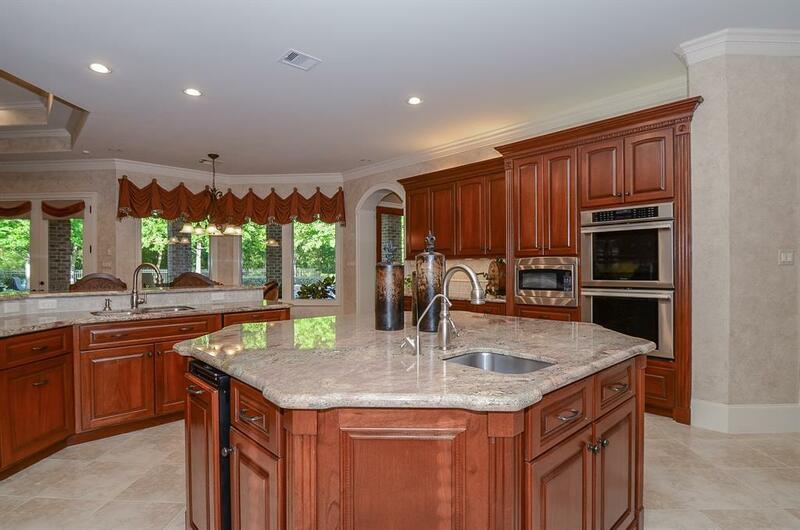 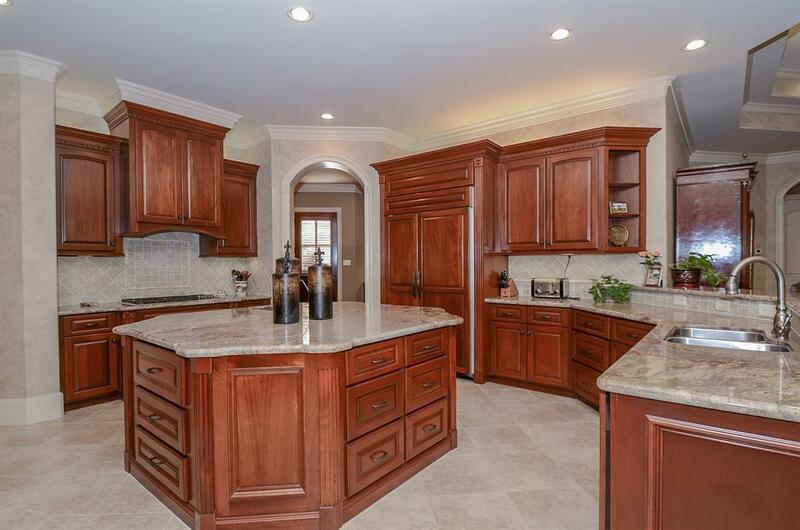 Kitchen features furniture quality mahogany cabinetry and high end granite that is open to the breakfast area as well as the den. 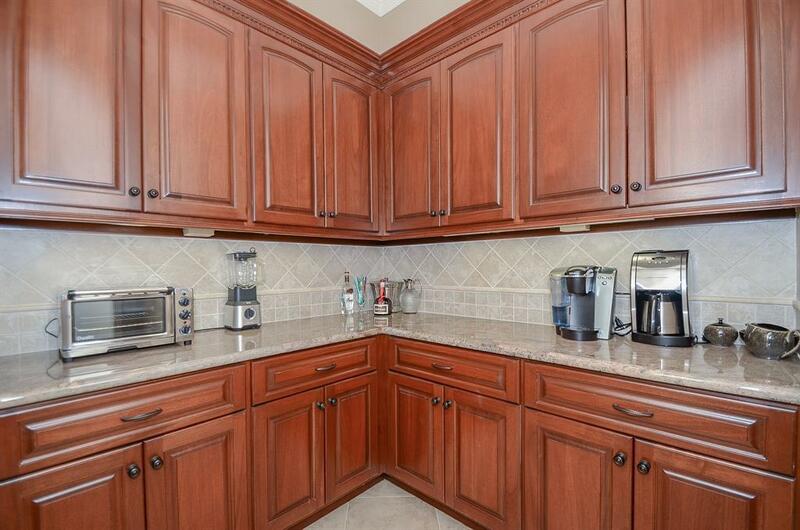 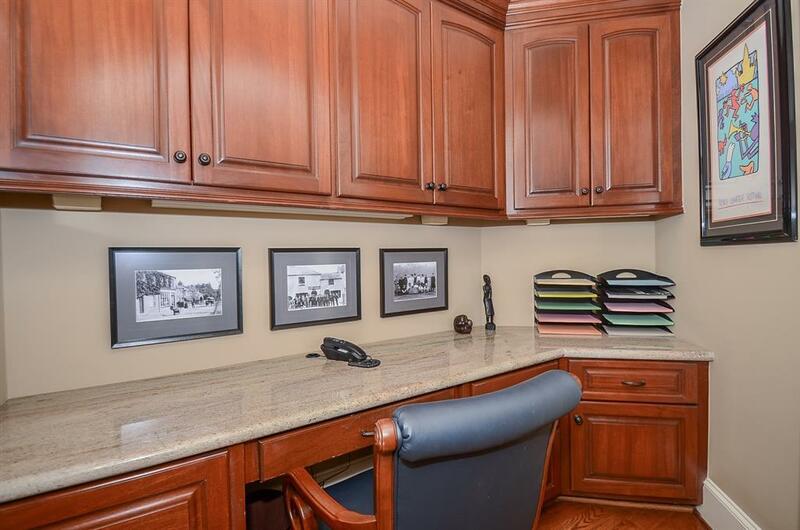 Located just off of the kitchen you will find a unique appliance pantry and bar. 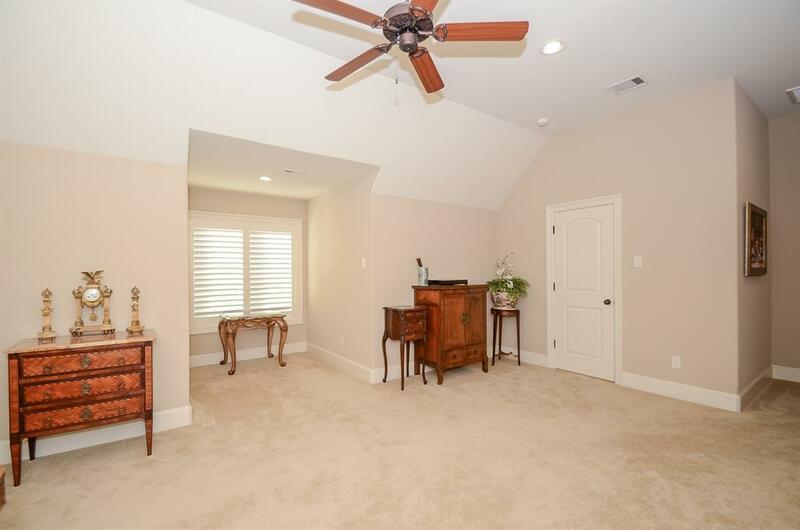 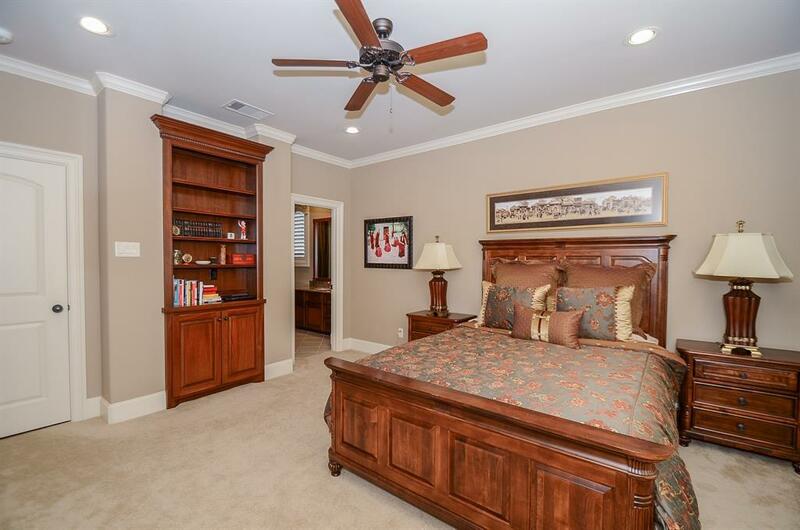 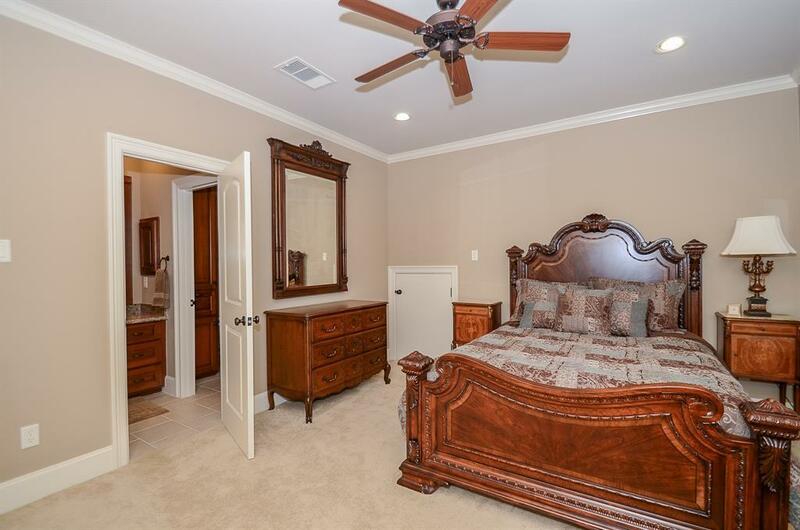 Elegant master bedroom overlooks the serene backyard complete with a cozy fireplace. 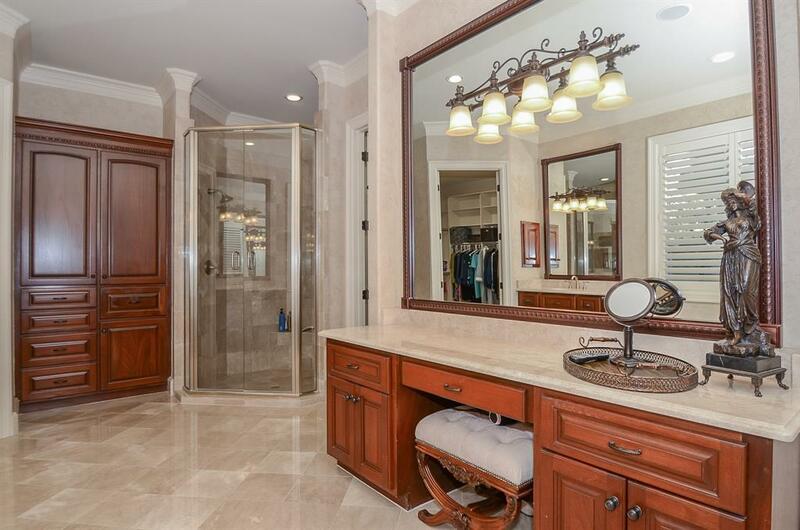 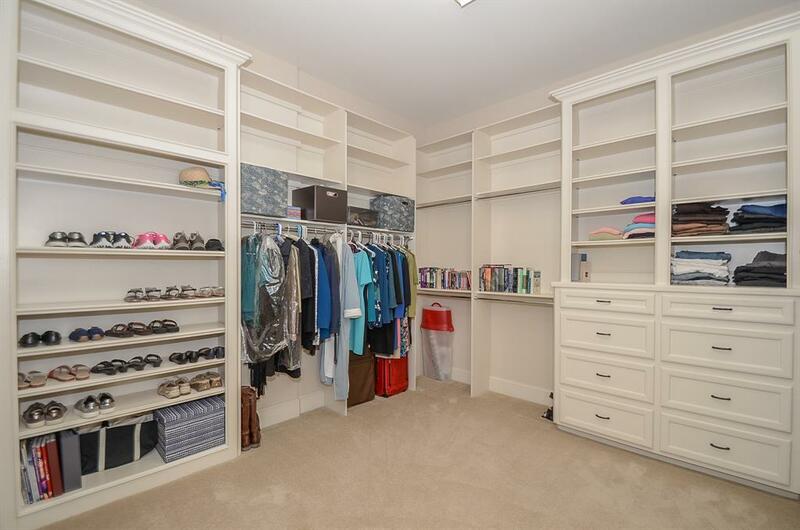 The spacious master bathroom is adorned with a seamless shower, a large tub and two oversized closets. 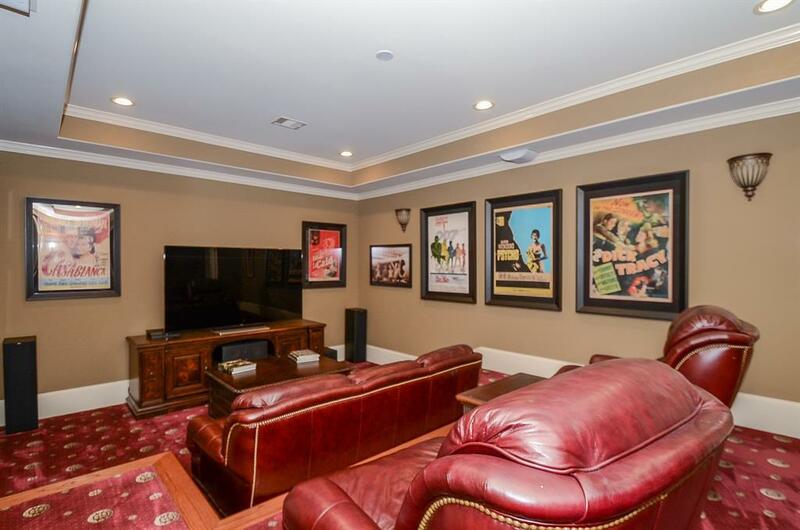 Upstairs you will find a spacious game room connected the theater style media room. 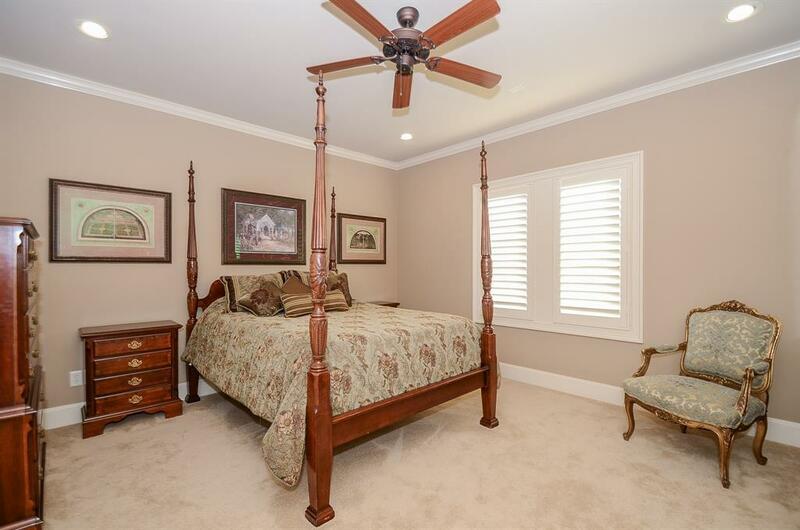 Secondary bedrooms are all of generous size & have en suite bathrooms. 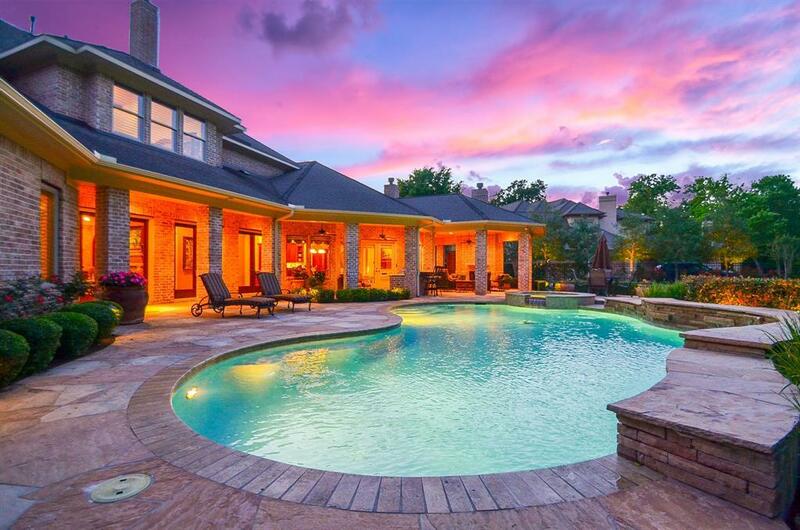 Backyard oasis has a park-like setting. 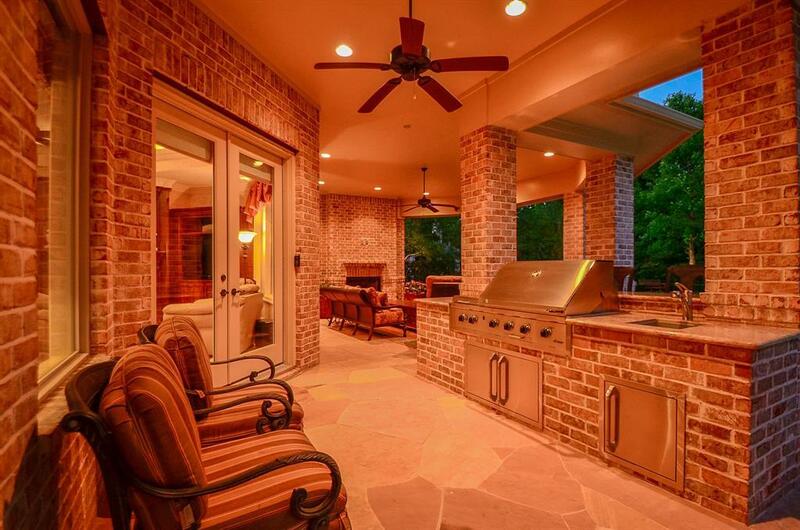 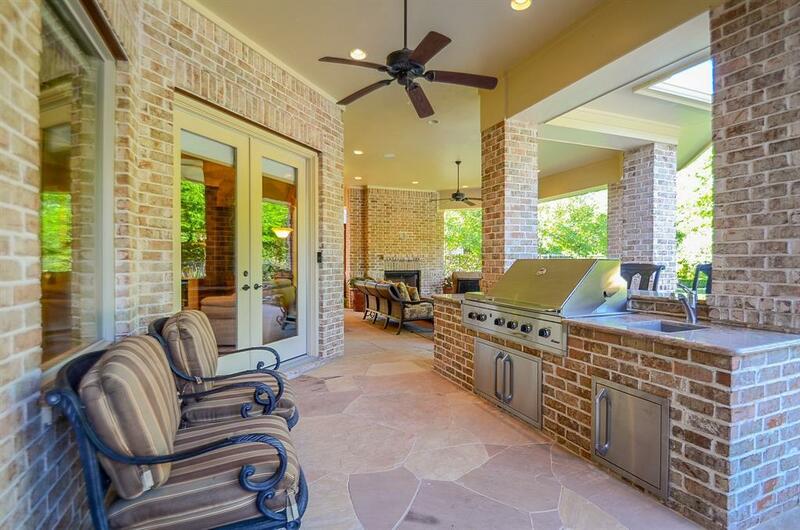 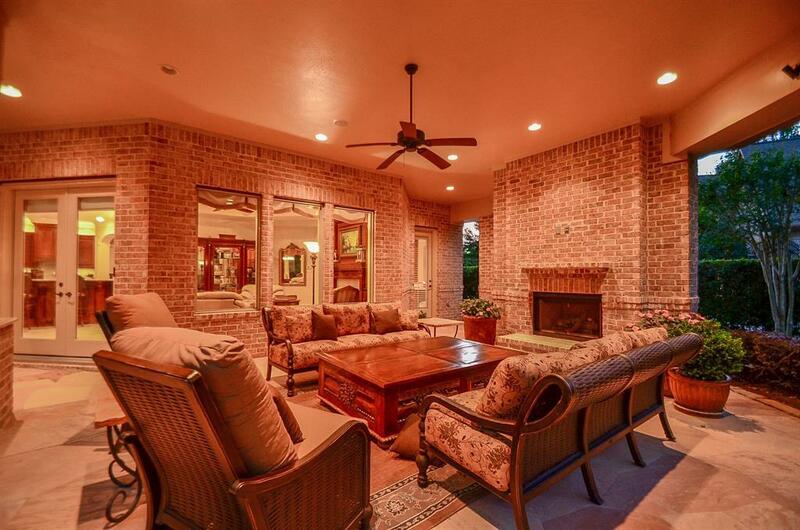 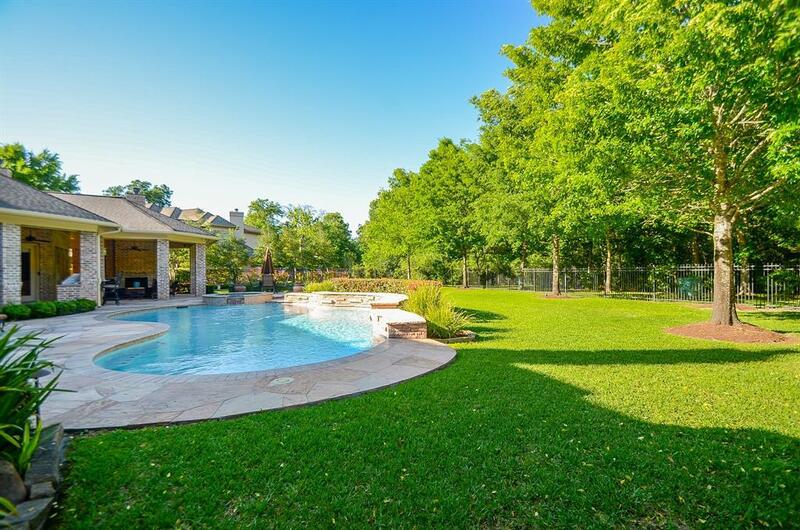 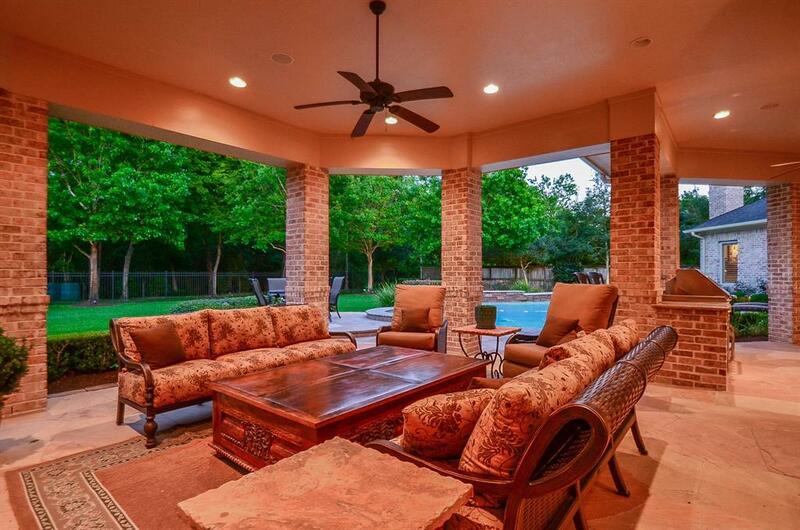 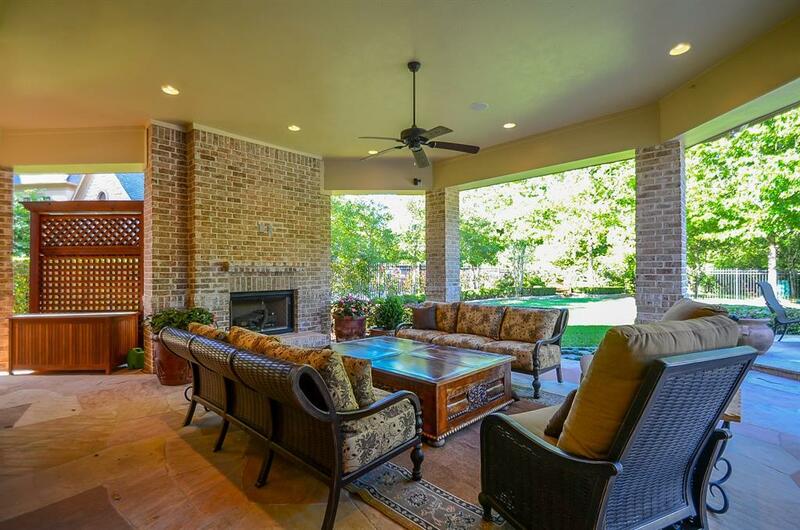 You will find a beautiful pool & spa with a covered patio, outdoor kitchen and fireplace. Directions: From Hw 99, Right (W) On Cinco Ranch Blvd. 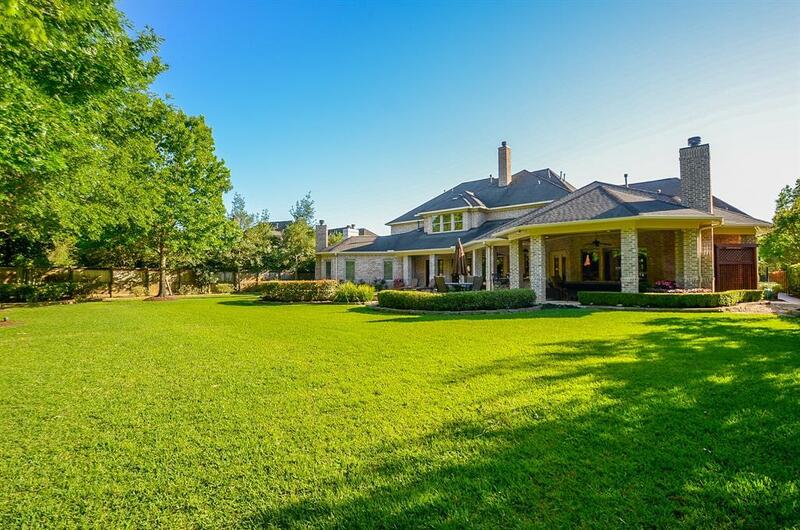 Right (N) On Clairecrest. 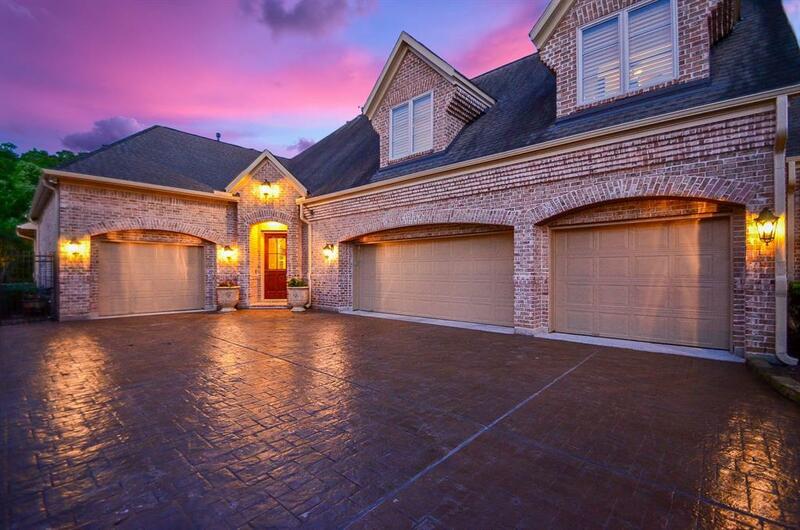 Right (E) On Cinco Estates Drive. 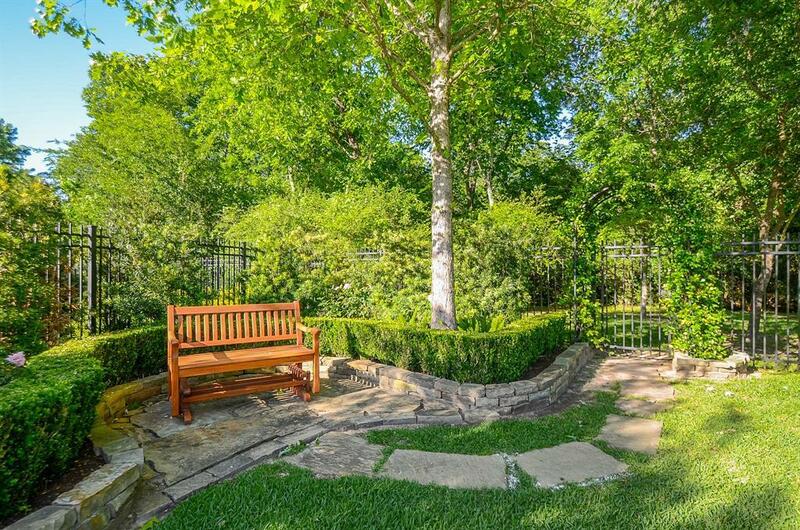 Left (N) On Rose Canyon Lane. 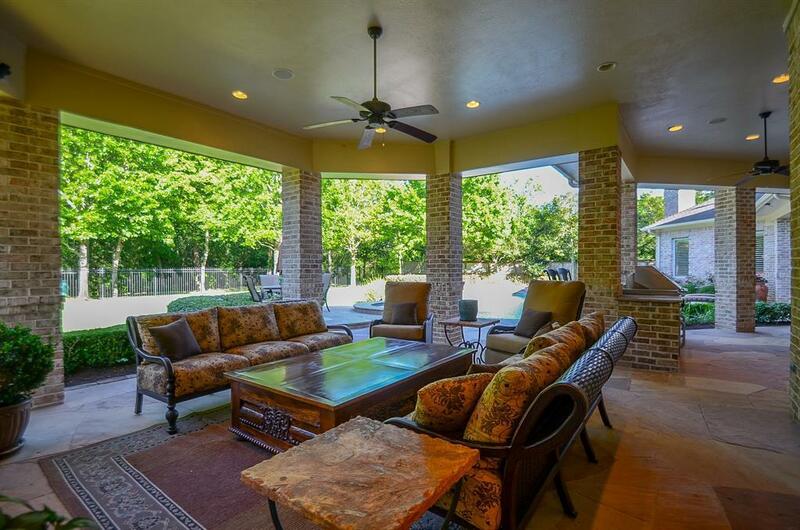 Right (NW) On Falling Water Estates Lane, Home Is The Second House On Your Right.